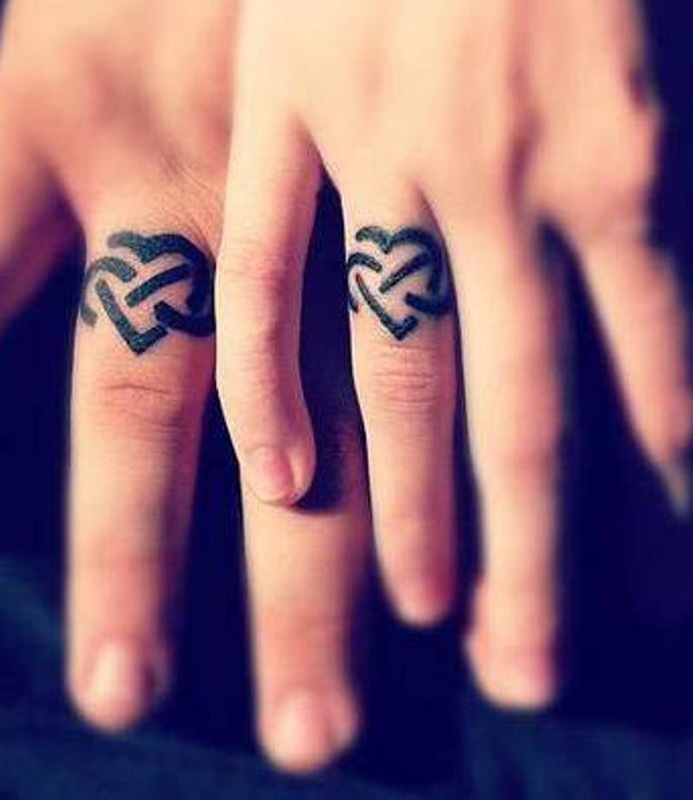 In my travels recently I have noticed some married couples with identical tattoos on their wedding fingers. Now maybe I am having my coffees close to tattoo parlours or is this a growing trend? Is this something you would consider? I guess the obvious question is always going to be is “What happens if the marriage ends?” Can the tattoo be removed, remodelled etc. Most of the designs I have seen tend to be symbols and the most popular seem to be Celtic Designs. Other couples have tattooed their first names on the other partners finger. My gut tells me that this trend is limited to a small percentage of the population in Ireland and the UK. If I am wrong maybe I should set up a tattoo parlour beside or in Voltaire Diamonds offices! If you were getting a wedding ring tattoo what would you have tattooed on your finger? Please comment below and give us your thoughts? For now, I think we will stick to offering our customers wedding rings either plain gold or platinum bands or wedding rings set with diamonds. Have a great Christmas and 2015. This entry was posted in Interesting Facts About Diamonds and tagged Bride, Engagement ring, Marriage, Wedding ring, Weddings.